On 3rd April, Canada has issued 3,350 invitations to Express Entry candidates to apply for Canadian permanent residence to with scores as low as 451. 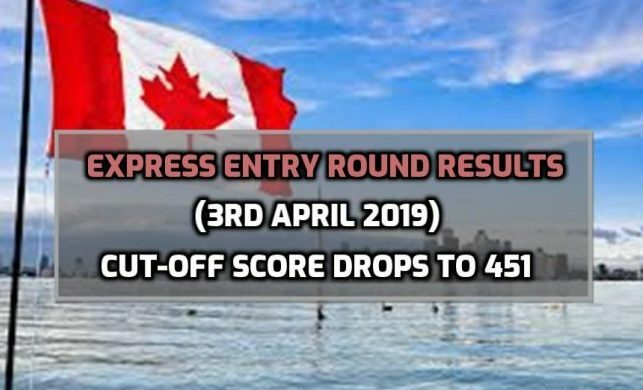 The Comprehensive Ranking Score (CRS) in today’s draw is one point lower than the cut-off score in the previous Express Entry invitation round on March 20, which was 452. This recent draw brings the total ITAs issued in 2019 to 24,550. 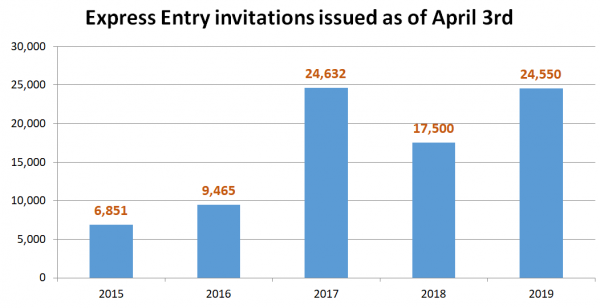 A look at ITA results by April 3 for the current and last year shows that 2019 is 7,050 ITAs ahead of 2018. If you are interested in having your immigration for Canada, Australia or New Zealand, you may contact us by phone or email. You can subscribe to our Youtube Channel to get frequent updates on immigration.